In areas prone to receive higher water levels thanks to weather conditions, a floating dock may be the right decision for you. As you know, water is constantly moving, and sometimes it may be better to have a boat dock that can stand up to the motion. With the floating docks from EZ Dock, you have an almost infinite number of options for a customizable floating dock. 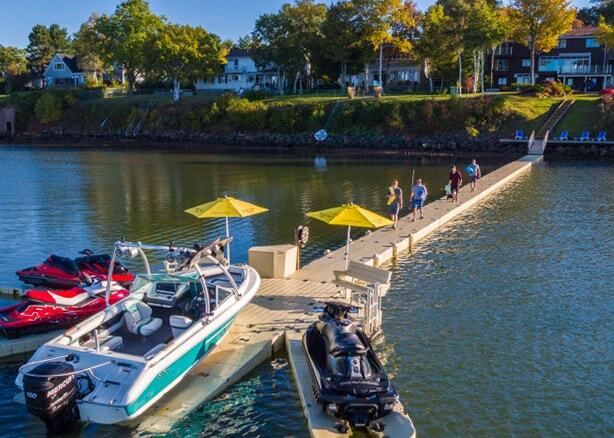 With the personalization of all the floating dock systems available from EZ Dock at Docks Unlimited, you can design the perfect floating dock to make sure you are always able to reach your boat.